BOOM! New member Christopher John White is already smashing it out of the park when it comes to lead generation. 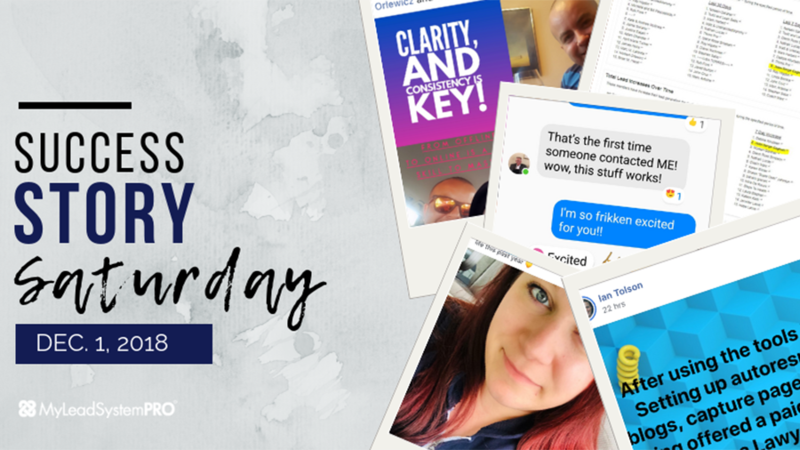 He's apparently doing something right when it comes to prospecting on Facebook! This dude's already a lead machine!! Shoutout! 13 Sales on Her Own Product! Look at Sole Martínez go! 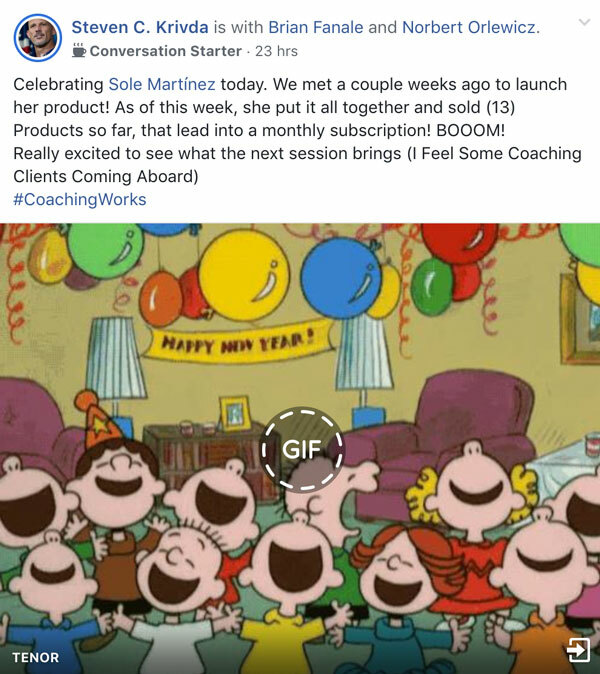 Not only did she just bang out 13 sales in a week (that lead to month subscriptions) but she also got a nice shoutout from super MLSP coach Steve Krivda! Natalya Melnik is killin' it! She got a shoutout this week from Debora Rogers this week. In less than 2 week she's already pulled in 2 sales! Miranda and Mikael Masters Van Gogh have been with MLSP for 15 months, and they've already achieved so much, climbed up the ranks, and dominated leaderboards. And we're happy to let us help them celebrate their first HIGH TICKET client! As always they had some inspiring words and great advice for the community! “To all of you that are new or struggling. Build and engage your audience without expecting anything in return for at least 4 months. Focus on one strategy and crush it, because you look anywhere else. And you will see results. Great advice from two people who are living results! Yes! Ian Tolson this week proved that attraction marketing works and that people want and need the skills taught her at MLSP! 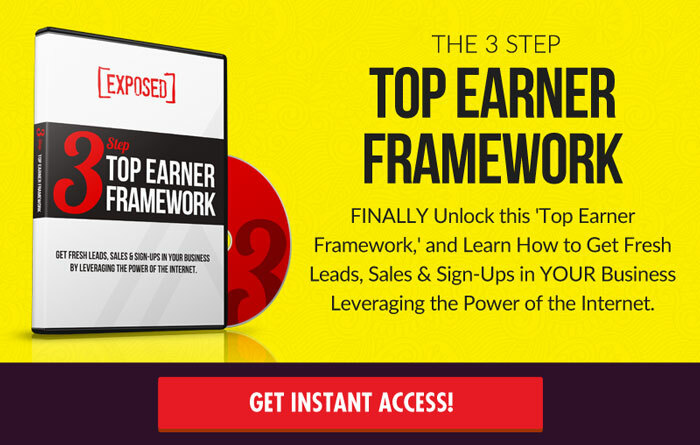 He set up autoresponders, blogs, and capture pages, and a lawyer willing to pay noticed! Look at this dude go! 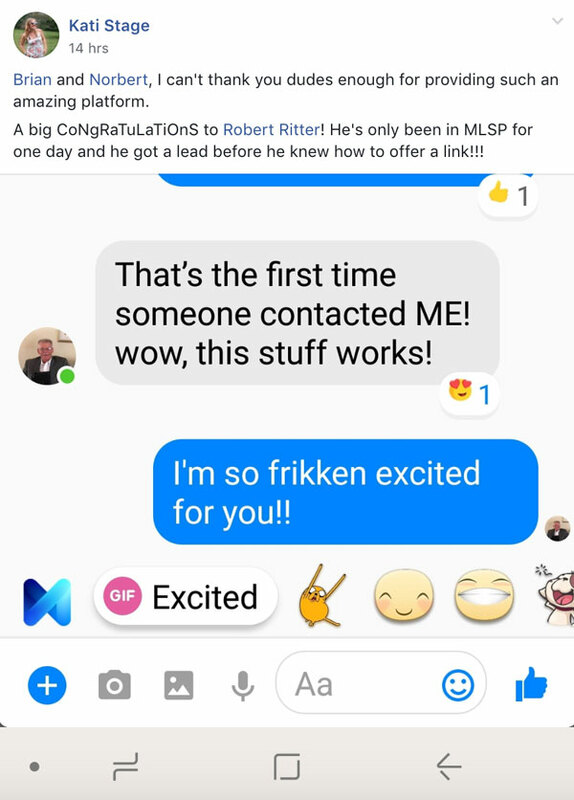 Brand new MLSP member Robert Ritter came out of the gate running! Can you imagine, he didn't even know how to offer a link, and still got a lead. Here's what he said to Kati Stage! By “this stuff” we’re pretty sure he means Attraction Marketing! Kati Stage gave him a big (and well-deserved) shoutout this week inside the MLSP Private community! And now, we're giving him one here!! Shoutout! 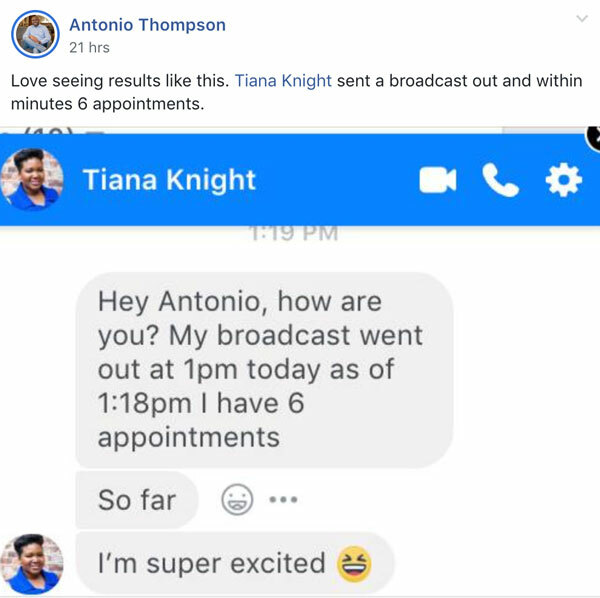 She Sent Out a Broadcast and Got 6 Appointments Within 18 Minutes! Tiana Knight got a big ole’ shoutout from Antonio Thompson this week! Tiana was super excited, Antonio was excited and gave her a shoutout, and we're super excited as well! 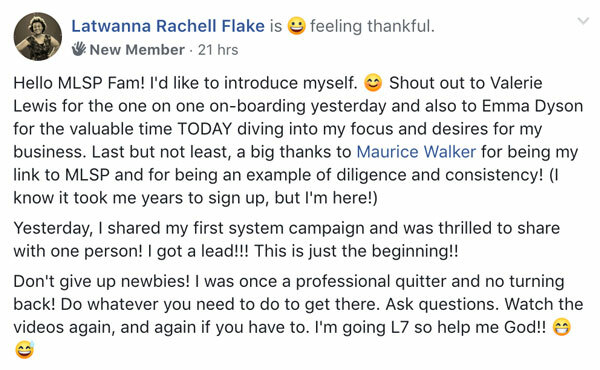 New MLSP Member Latawanna Rachell Flake got some awesome results from her first share! You're off to an amazing start Latwanna! She's been a force to reckon with over that year, and we know that we see amazing things for her in 2019! You'll want to read her entire post in the screenshots below. Tons of inspiration there! 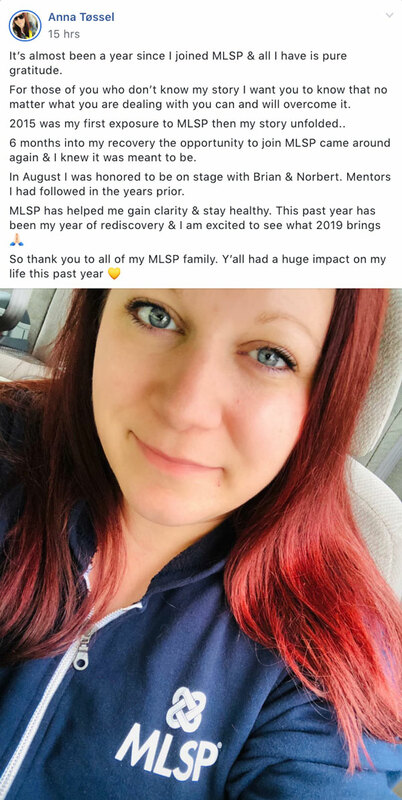 Check Out the Screenshots from Inside the Private MLSP Community Below! !